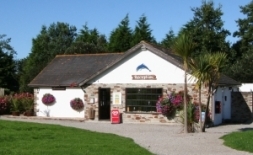 If your looking for a great fishing holiday in Cornwall then look no further than Perran Springs Holiday Park. Set is a peacful valley not too far from the golden sands of Perranporth beach this site offers three great fishing lakes for all the family. 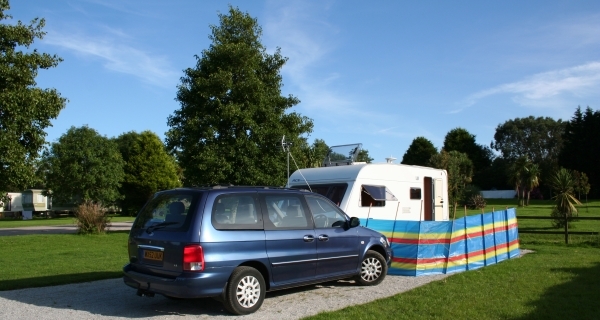 With spacious flat level pitches, the fishing lakes can literally be within a stepping distance from your pitch. If your wife isn’t one to fish then she can relax in the quite surroundings, take a walk around the parks nature walk, visit carn moor which runs just below the park, or if the family prefer the beach, then Perranporth is only a 5 minute drive away, or the city of Truro is only a 20minute drive away for a great days shopping! This site also boasts award winning amenities, with free powerful hot showers. 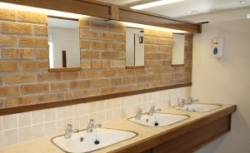 Some have described the facilities as superb and not the normal run of the mill facilities you expect on a holiday park. With a laundry and a small shop which sell the essential items (and a good range of fishing tackle), there is sometimes little need to leave the park. For the children there is a play area and large recreation field for ball games. If you fancy owning your own holiday home so you can fish most of the year, then get in touch on 01872 540568 and pre-book your holiday home. This is a new development and the holiday homes are set within prime positions, only a stones throw away from the three lakes. So please pre-book now to avoid disappointment! Professor David Bellamy has selected Perran Springs Holiday Park to receive his important and prestigious Conservation Award at the GOLD Level. This award is granted only to holiday parks which have demonstrated a positive sound commitment to the natural world. The David Bellamy Conservation Awards are described by Professor Bellamy as the ‘Green Olympics’ – and go only to parks which help protect and enhance the natural environment. So if your looking for a great fishing holiday in Cornwall then please consider Perran Springs Holiday Park.